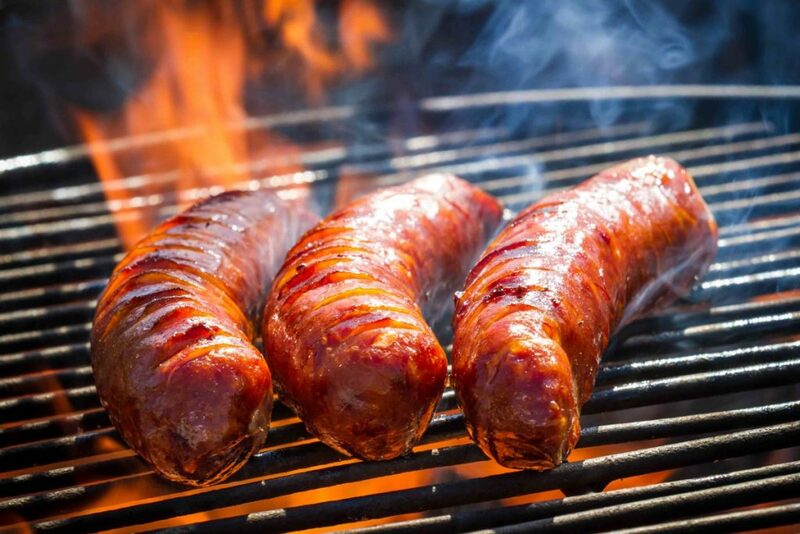 Hot dogs in the Czech Republic are known as párek v rohlíku which can be literally translated as sausage in roll with the label hot dog also applied in marketing to both locals and tourists. 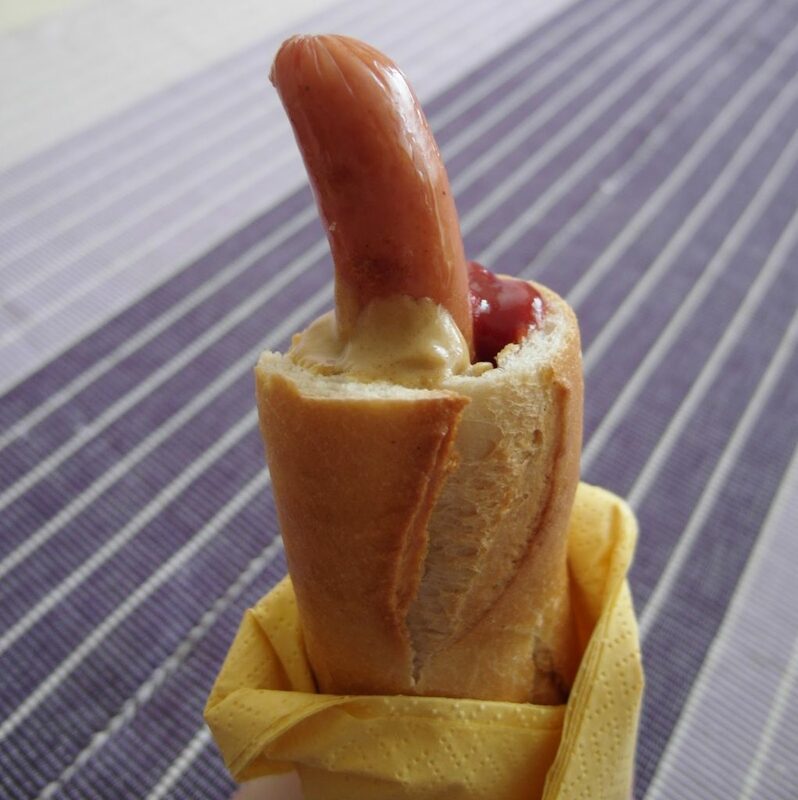 Czech-style hot dogs are differentiated by the fact that rather than slicing the bun in half and placing the sausage into the resultant cleavage, the top of the bun (rohlík) is cut off, with a hole punched into the softer inside of the bun where condiments and then the sausage is placed, similar to the Ketwurst. 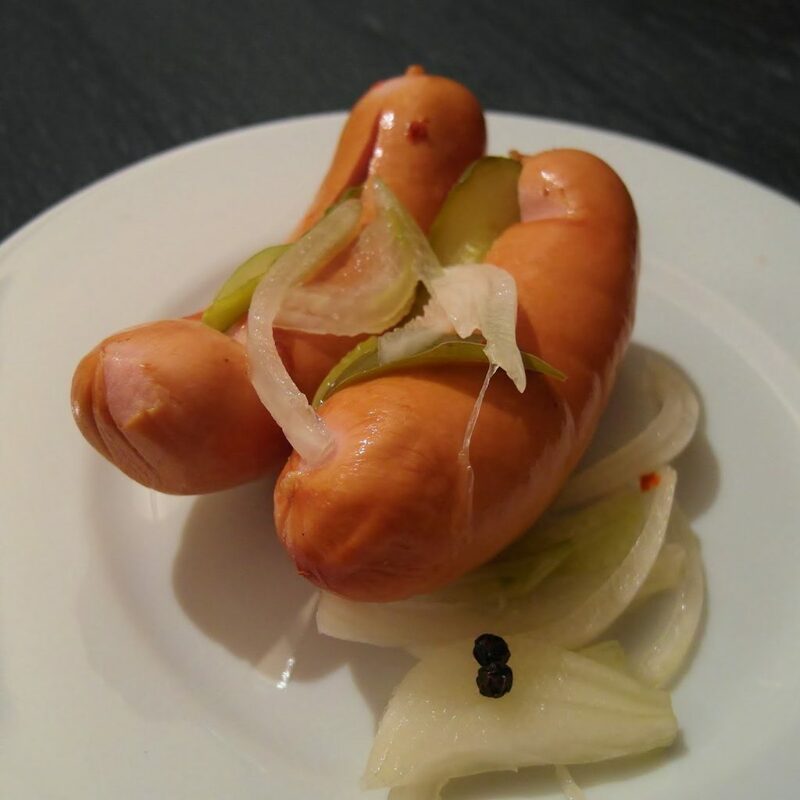 Utopenci, singular utopenec (literally “drowned men”), are piquantly pickled bratwursts (špekáčky) in sweet-sour vinegar marinaded with black pepper, bay leaf, onion and chili peppers. They are often available in Czech pubs, but are uncommon in better restaurants. Hermelín is a type of Czech cheese which imitates camembert, with a coating of white mold. It originates from the town of Sedlčany in Central Bohemia and is sold throughout the Czech Republic under various brand names. In restaurants, the cheese is usually served marinated in oil (nakládaný), deep-fried in breadcrumbs (smažený) or grilled (grilovaný). 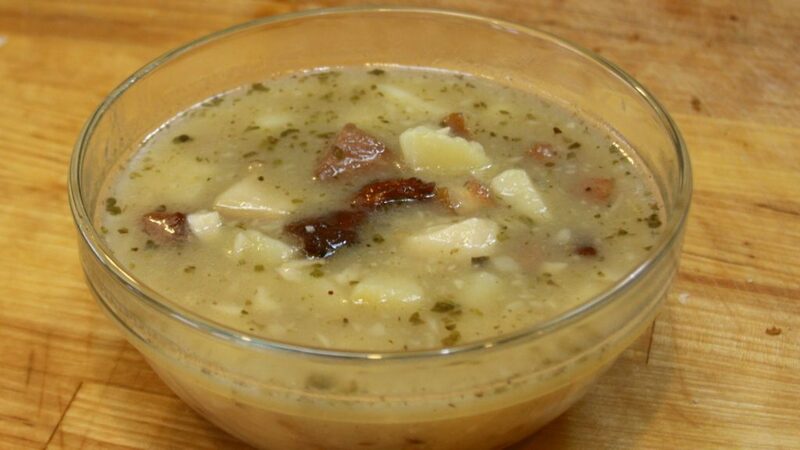 in Czech Republic garlic soup is called česnečka or Česneková polévka. 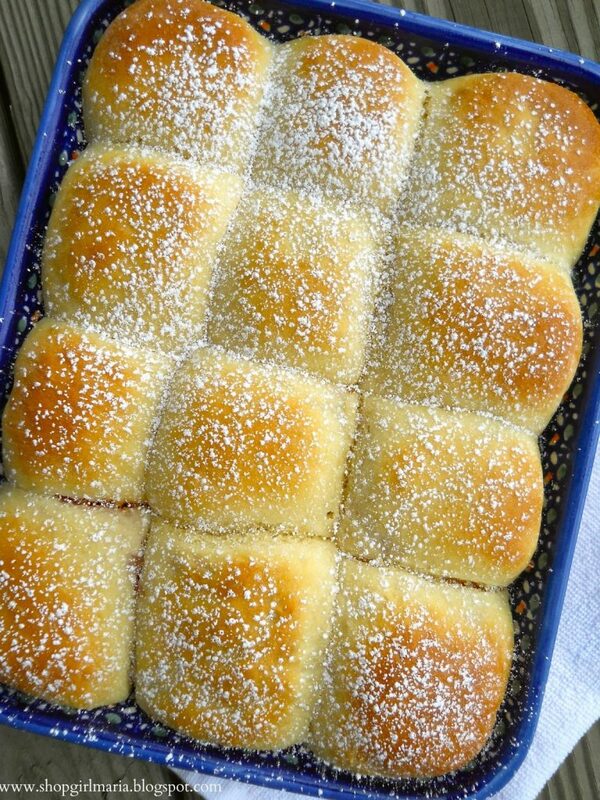 It is made with potatoes and bread, sometimes cheese, ham or eggs are added. 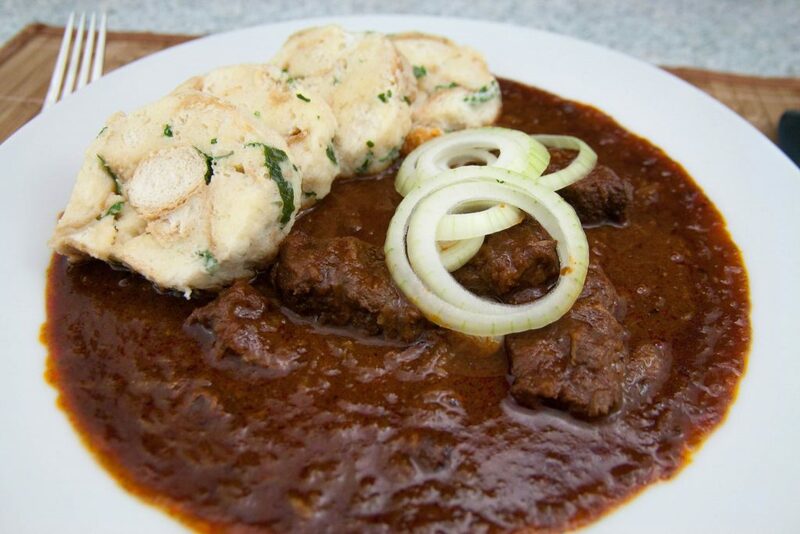 Svíčková, or svíčková na smetaně (beef sirloin in cream sauce), is a typical Czech dish and one of the most popular Czech meals. It is sirloin prepared with vegetables (carrots, parsley root, celeriac and onion), spiced with black pepper, allspice, bay leaf and thyme, and boiled with double cream. 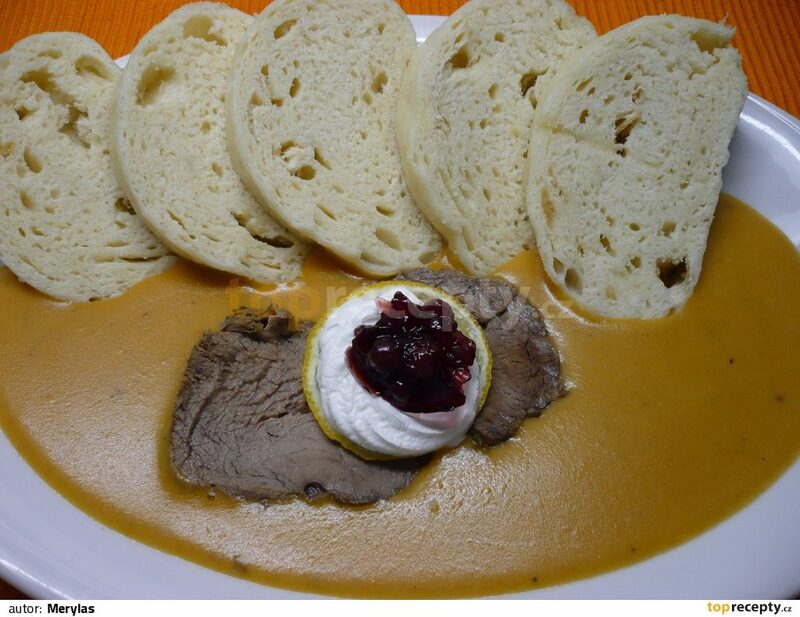 It is generally served with houskové knedlíky (bread dumplings). Stew usually made from beef, pork or game with onions and spices. There are several vegetarian varieties with cabbage or potatoes. It is usually accompanied with knedlík or sometimes bread. It is also traditionally served at home as a pot of guláš will last for several days. Czech gulášis not to be confused with Hungarian “gulyás”, which is a soup more similar to Czech gulášovka (a soup). 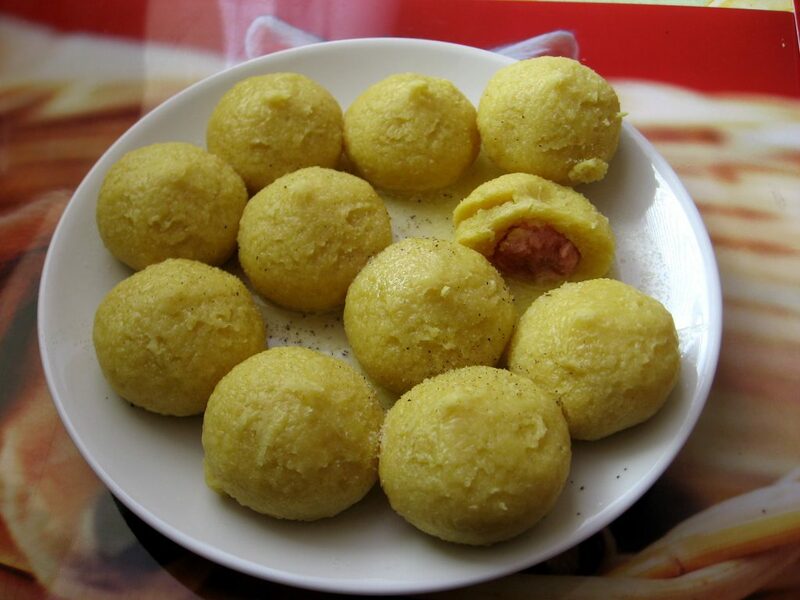 Pörkölt is the Hungarian equivalent of Czech guláš. 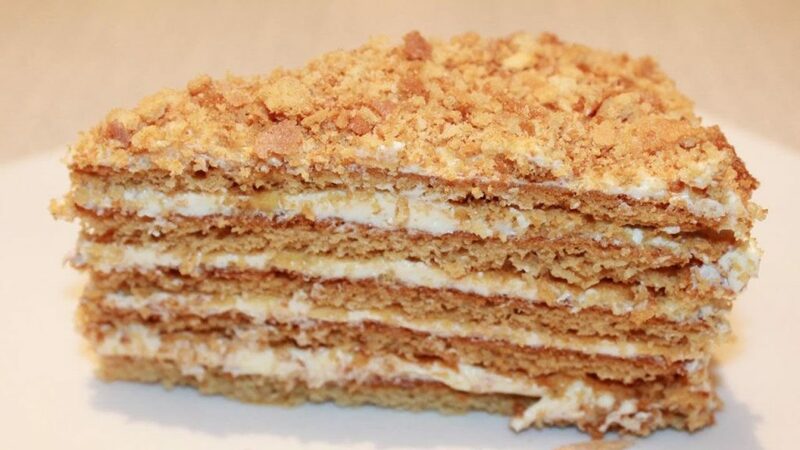 Medovník is answer to any American honey cake. In Slovakia and the Czech Republic, medovnik is often not homemade but purchased and given as a gift. Because of its unique preparation, it is a sweet that, like fruit cake, can sit out for months before being eaten. Dumplings (knedlíky) (steamed and sliced bread-like) are one of the mainstays of Czech cuisine and are typically served with meals. They can be either wheat or potato-based, and are sometimes made from a combination of wheat flour and dices made of stale bread or rolls. Puffed rice can be found in store-prepared mixtures. Smaller Czech dumplings are usually potato-based. When served as leftovers, sliced dumplings are sometimes pan-fried with eggs. Czech potato dumplings are often filled with smoked meat and served with spinach or sour cabbage. 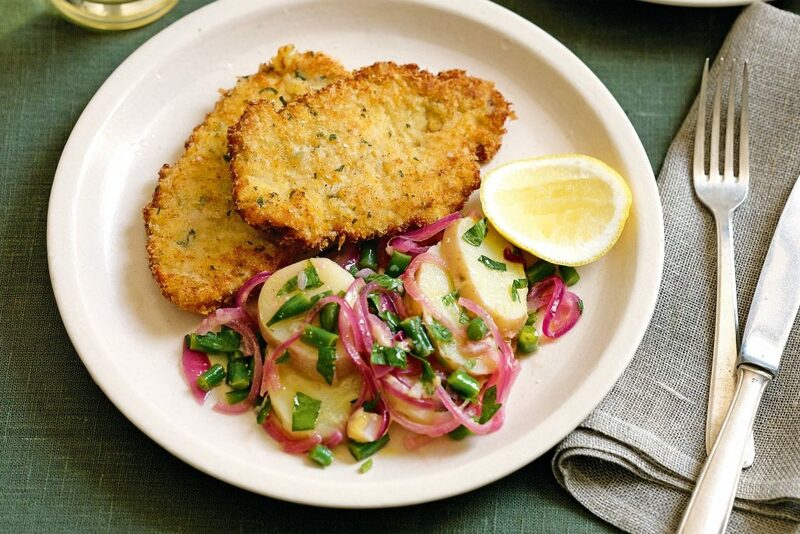 Fried onion and braised cabbage can be included as a side dish. Baked mincemeat (Sekaná pečeně)—later only mincemeat (sekaná), is a dish made from minced pork meat (beef is also possible). Roast pork with dumplings and cabbage (pečené vepřové s knedlíky a se zelím, colloquially vepřo-knedlo-zelo) is often considered the most typical Czech dish. It consists of cabbage and is either cooked or served pickled. There are different varieties, from sour to sweet. 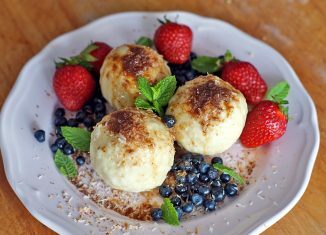 Smažený sýr means “fried cheese” – is a Czech and Slovak cheese-based dish, widely consumed in both countries of the former state of Czechoslovakia. Fried Gruyère/Swiss cheese, served with tartar sauce and side salad. A slice of cheese (which is usually Edam, but may also be Hermelín or Niva in the Czech Republic, Emmental in Slovakia) about 1.5 cm thick is first breaded with flour, egg, and bread crumbs and then fried either in a pan or deep-fat fryer. 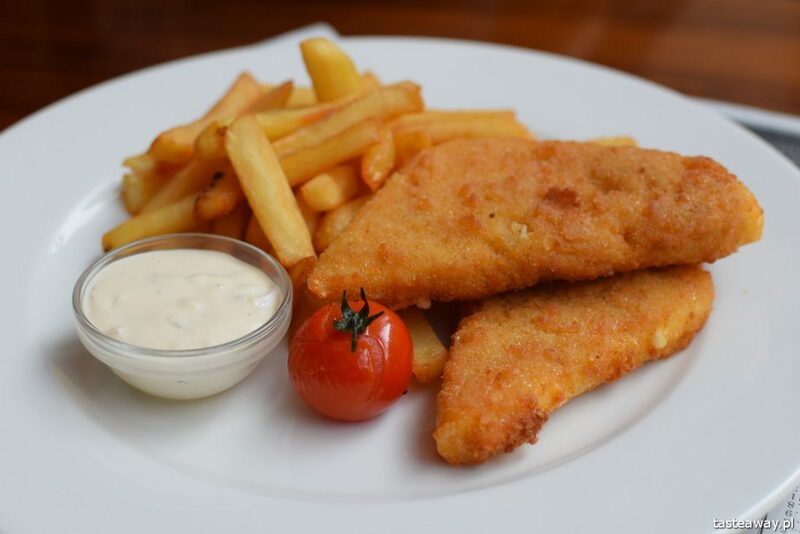 It is often served accompanied by a side salad, potatoes (fries or boiled potatoes), and, typically, tartar sauce or mayonnaise. 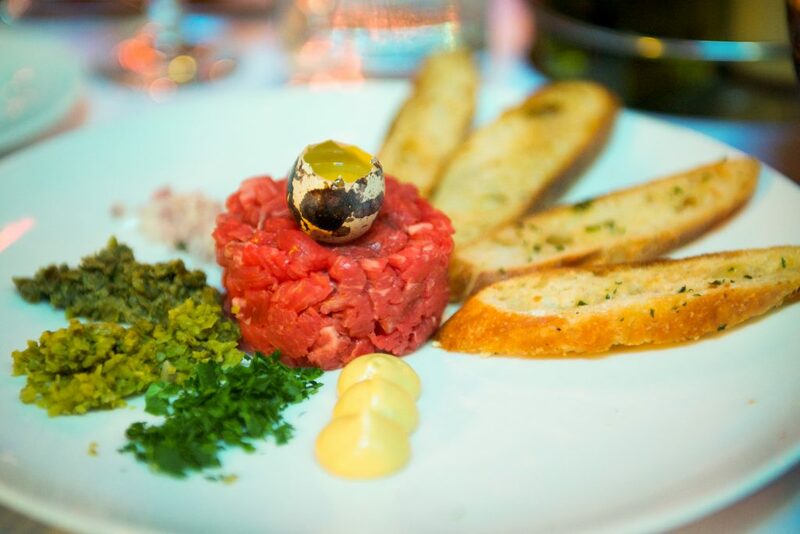 Steak tartare is a meat dish made from finely chopped or minced raw beef or horsemeat. In Czech Republic is usually served with raw garlic and a few pieces of fried bread, or “topinky”, the Czech take on the bruschetta brought in by Italian workers during the development of the Czech railway system in the 19th Century. Because we do not grow olives here, a topinka is usually pan-fried in oil or pork lard, or toasted and buttered. We prefer the latter, although many swear by the former. 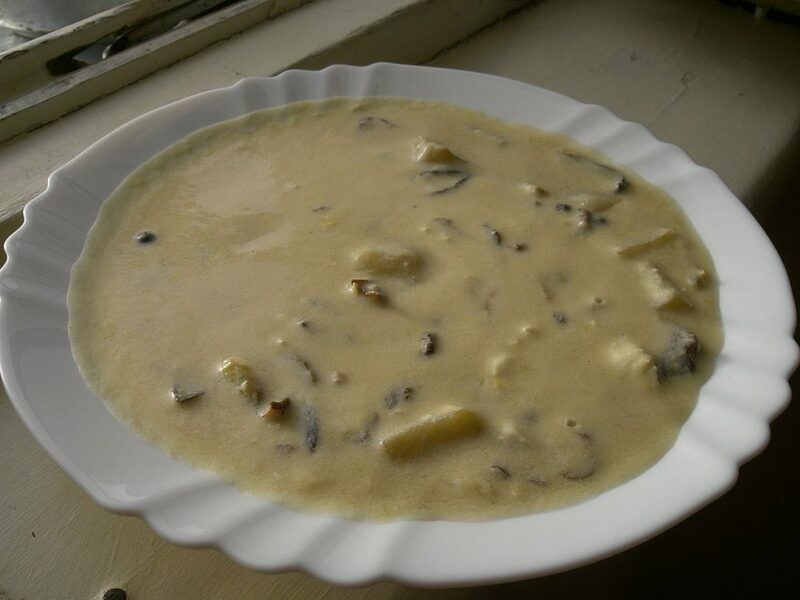 Kulajda is a Czech cuisine soup. An “updated” version is made with sour cream, potatoes, dill and quail egg. Mushrooms are also an important ingredient of the soup. 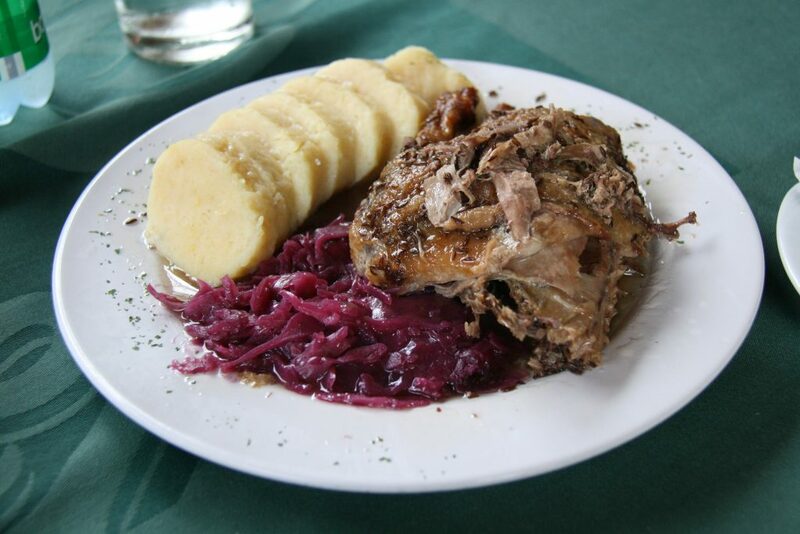 Roast duck (pečená kachna) is served with bread or potato dumplings and braised red cabbage. Schnitzel (Řízek) is a traditional Czech meat meal. The word means “sliced/cut (out) piece”. 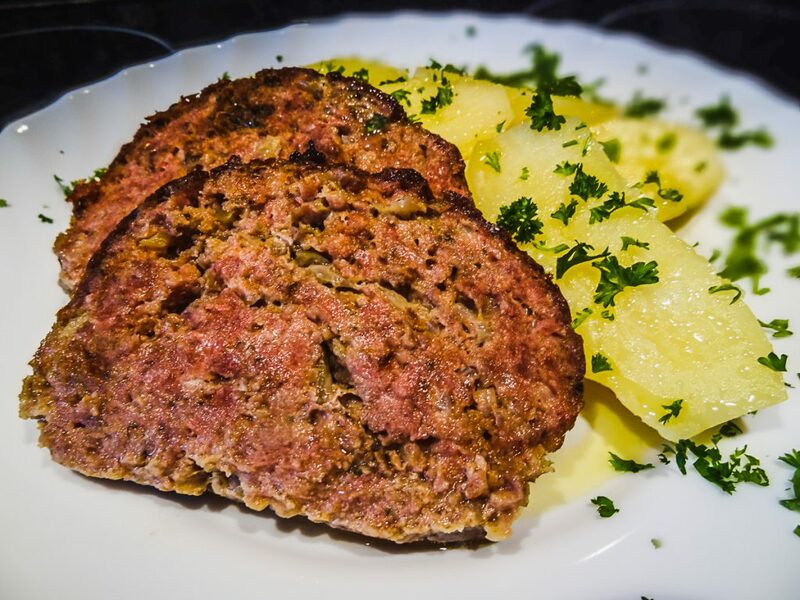 These are usually small slices of veal, pork or chicken covered with Czech traditional trojobal (Triplecoat), made from putting and pressing a piece pounded and sliced into smooth flour on both sides, then covered in whisked egg and breadcrumbs and fried on both sides. 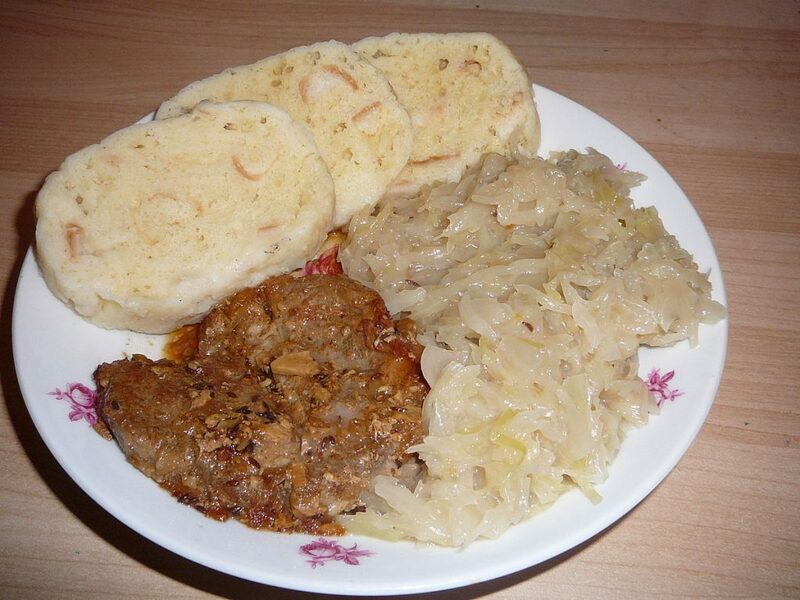 Řízek is served with potato side-dishes. 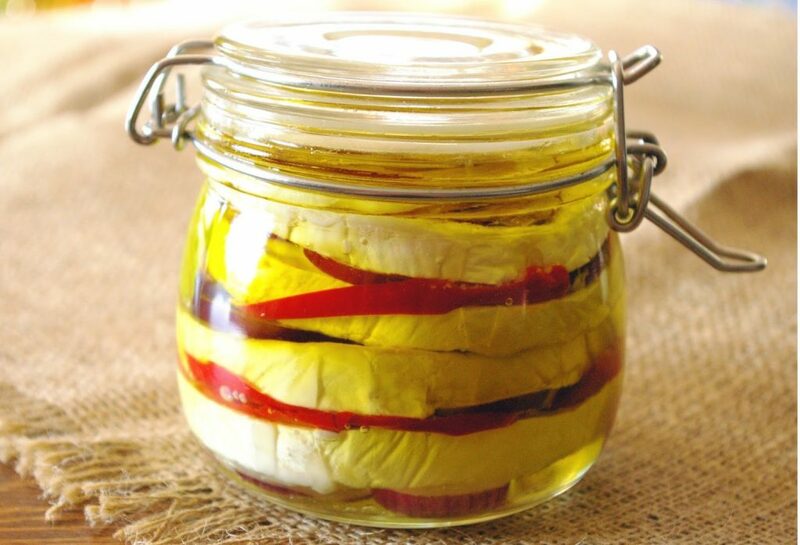 The Czech triplecoat is used at Christmas to cover carp or trout decorated with lemon slices, in some households. 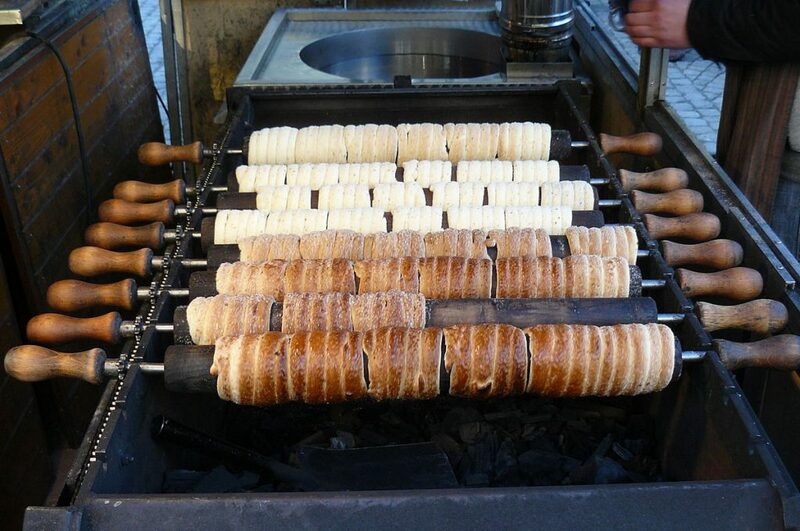 Trdelník is a kind of spit cake. 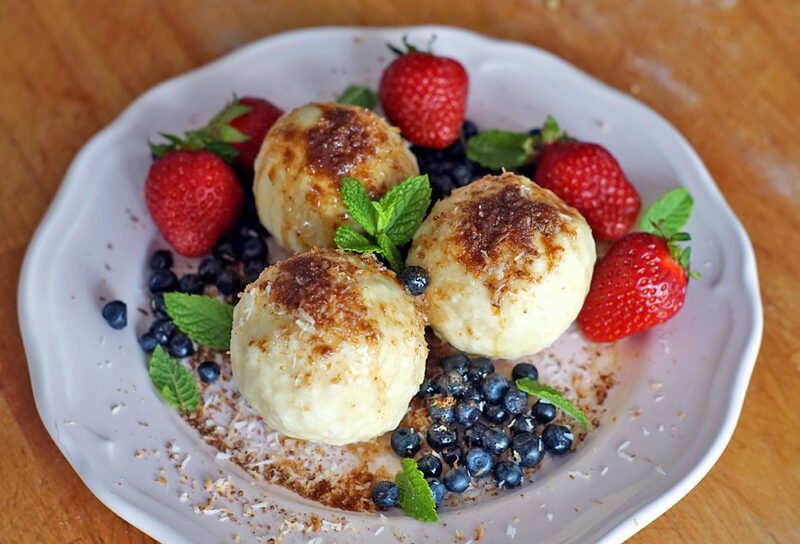 It is made from rolled dough that is wrapped around a stick, then grilled and topped with sugar and walnut mix. 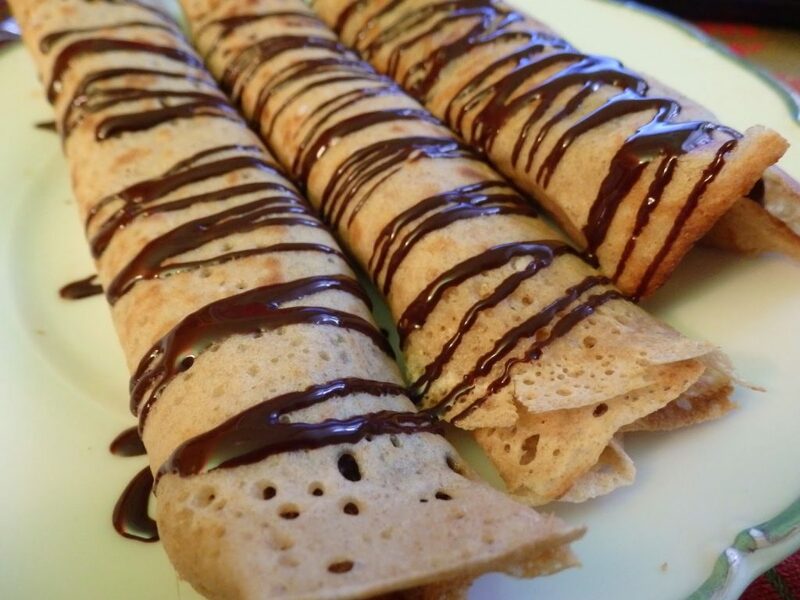 Palačinka is a thin crêpe-like variety of pancake common in Central and Eastern Europe. 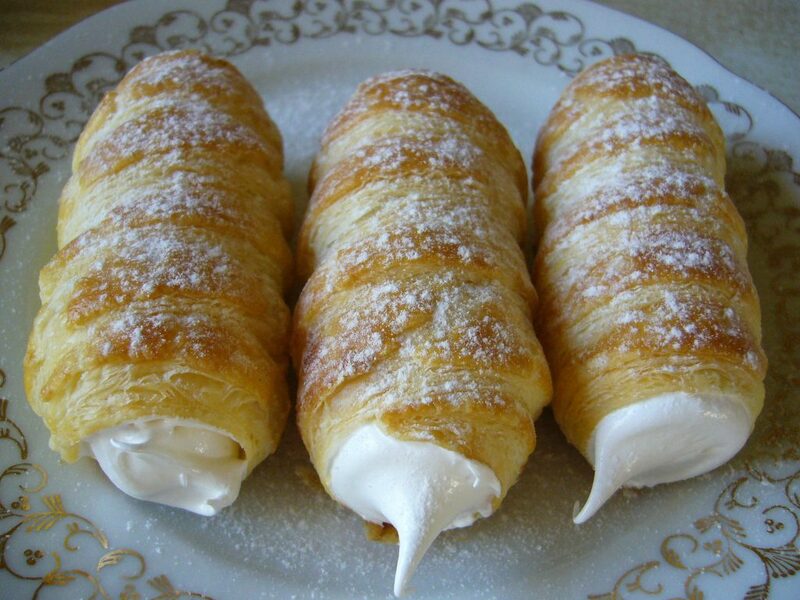 They consist of a cone or tube of pastry, often filled with whipped cream or meringue. Also called foam rollers, they are a bags or roll-shaped puff pastry, which is sweetened with whipped cream or meringue, or sometimes filled with an unsweetened cream puree. 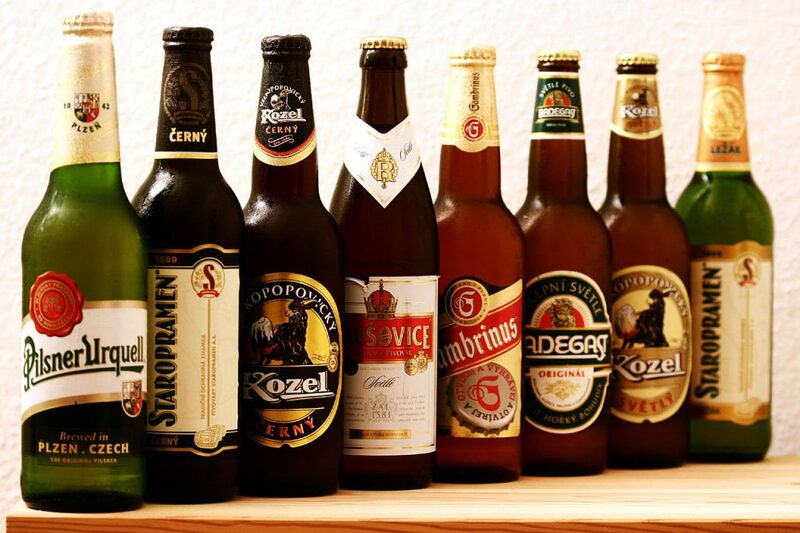 Czechs drink the most beer per capita of any nation in the world. Pilsner, the light, gold-colored brew that is the most popular variety of beer in the world, gets its name from the Czech city of Pilsen, home to the famous Pilsner Urquell brewery that ships out its green bottles and cans to countries all over the world.